The Abbas Combat Division (ACD) enjoys both national and regional respect as an armed group within Iraq’s Popular Mobilisation Forces (PMF) and has consistently rejected any form of association with or interference by any foreign actors. The Division’s commanders have also categorically rejected any form of contact with neighbouring countries in the fields of logistical or advisory support, seeing itself as an instrument of the Iraqi state, which takes its orders from the Commander-in-Chief of the Armed Forces. The ACD is the most prominent of all the PMF factions loyal to the Supreme Religious Authority in Najaf, notable for its absolute subordination to the Iraqi government since fighting began against Da’esh in June 2014; and on 4 July 2018, the Ministry of Defence integrated one of the Division’s regiments into its ranks. Organisationally, it answers to the Commander-in-Chief, in relation to deployments that are directed through the Joint Operations Command. The Division’s leaders also see themselves as victims of the salary crisis. They filed a complaint against the PMF Commission after not receiving their allocated funds, despite an order by the former prime minister that combatants receive full payment of their salaries. However, some leaders within the PMF have accused the former prime minister of inflating numbers, thereby creating financial and administrative problems for the MoD and the religious shrine authorities (atabat). The same commentators added that the issue had been discussed with some leaders from the PMF, who were asked to provide the Division with accurate figures in order to determine the true extent of former Prime Minister Abadi’s blame for this crisis. The accusation is that he purportedly bolstered the ranks of the PMF without sound financial budgeting, it having been pointed out that Abadi had indeed added new members to the PMF’s payroll within the projected budget. However, the PMF’s administration did not adhere to these updated payroll, and instead multiplied the numbers given by the former prime minister several times over, moreover introducing to the payroll new factions and brigades. Hence, these commentators from the ACD charge that the PMF’s management is principally to blame for this crisis. Over a continuous period of four weeks during the past year, several storage depots belonging to the ACD were the target of attacks. 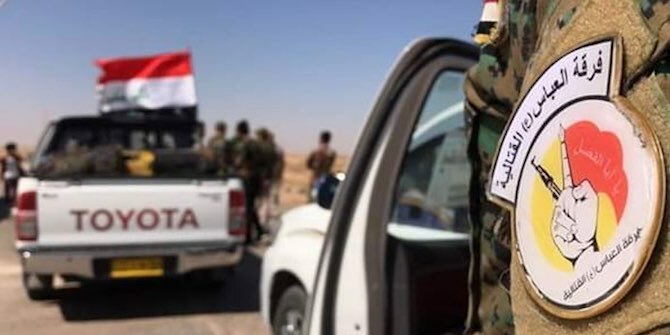 Local media quoted the commander of the Division, Maytham al-Zaidi, as saying that, ‘our equipment stores were targeted on four separate occasions this month’, and calling on the government to form a committee to investigate these incidents. It is worth mentioning that a committee formed by the ACD concluded that the targeting of the Division’s various depots was not random but represented a related pattern of attacks, bearing all the hallmarks of an actor repeatedly targeting and thereby seeking to steadily weaken the ACD. Recent statements issued by the deputy chairman of the PMF Commission and its chief of operations, Jamal Ja’far al-Ibrahim (better known as Abu Mahdi al-Muhandis), have caused a serious rift with the ACD. These included ordering the Division to sever all formal ties with the Abbasi religious shrine foundation (al-Ataba al-Abbasiyya), and to instead merge with the PMF’s mid-Euphrates command, under the authority of retired Major General Ali al-Hamdani, who was only recently commissioned by al-Muhandis to replace Qasim Musleh (himself instead commissioned to lead the PMF in the west of Anbar province). These directives have caused resentment with the Representative of the Supreme Religious Authority in Karbala, and have also been interpreted by some as a grave insult to the Abbasi religious shrine foundation, which is not a political entity. Some believe that al-Muhandis has been exploiting the administrative vacuum and the failure by the new prime minister to familiarise himself with the PMF portfolio to his own ends. For example, he has issued administrative orders aimed at securing rapid changes within the PMF Commission. In doing so he is tightening his grip over this institution, and there have been further efforts to control and subdue any brigade currently outside his remit and anyone who defies his orders. The changes wrought by al-Muhandis in the directorates and leadership structure of the PMF occurred with the full knowledge and acquiescence of the current Prime Minister Adil Abdul-Mahdi, who has so far not shown any appetite for suppressing these unilateral measures. On 18 August 2018, al-Muhandis issued a decree ordering the disengagement of all PMF factions from ‘political parties’ and ‘religious shrine foundations’. The ACD’s response expressed its surprise at this decree in view of the fact that religious shrine foundations are non-political entities. Although Grand Ayatollah al-Sistani has so far not voiced his position on these recent developments within the PMF, it is possible that he may intervene if the situation escalates. Whatever happens, it is clear that external mediation will be needed to resolve the mounting tensions between the ACD and the PMF Commission. 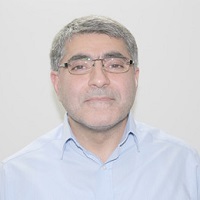 Hayder Al-Khafaji is a researcher on Middle Eastern affairs at the Al-Bayan Center for Planning and Studies, with a specialist focus on Iraq–Iran relations. At the Middle East Centre, Hayder is leading a Conflict Research Programme (CRP) project looking at the possibility of disarmament, demobilisation and reintegration of Iraq’s Popular Mobilisation Forces.